Utilizing various image editing techniques to enhance the features of an image is referred to as the image manipulation process. Whatever may be your business niche; effectively manipulated digital images will help the customers have a better and detailed understanding of your services, products, facilities, equipment, infrastructure, and amenities. MAP Systems as a professional image editing company can provide the best photo manipulation services by leveraging experience and capabilities in the niche to render all the promotional images in aesthetically striking and detailed manner. At MAP Systems, we utilize extensive photo editing software and creative suite infrastructure to carry out complex and intricate photo editing services or photo manipulation as required by our clients. We are encouraged by a trove of digital photo manipulation techniques to offer the following changes in the images being edited. One of the most common requests that every client has is to remove certain objects or person from an image to ensure that the center object in the photograph is able to drive all the attention of the audience. Apart from this, we can also manipulate the background or foreground by add or replacing objects to the image’s background or foreground to enhance or modify the image. As per the requirements of the clients, MAP Systems can provide matchless color schemes and cropping services irrespective of the scope and size of the requirements. 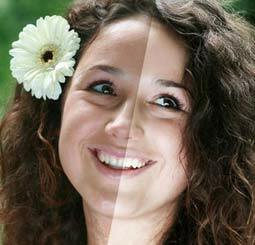 Over the years, we have catered to the requirements of the clients needing photo color correction services and endowed their pictures with befitting color schemes. Sometimes even with a lot of care certain camera settings, e.g., images taken with sharper edges can ruin an otherwise great image. If you find such problems with your images, our graphic designers and image editing professionals can help you with smoothening of. We utilize the best photo editing tools and techniques to pull off even the most exigent demands of the clients easily. We have the right talent, experience and effective framework that can be successfully leveraged to meet all your needs and requirements regarding photo manipulation. We are capable of overlapping images to ensure that you get the best-looking image without any ragged edges. We are also capable of fixing any sort of closed-eye conditions, red-eye removal and ensure that your images do not have any geometrical bias. It is essential to establish a thorough geometrical balance throughout your image to ensure that the main object gets all the attention from the audience. If you need to distinguish your pictures from that of the competitors and/or avoid anyone illegally using your images, photo watermarking is an effective way. MAP Systems has effective solutions for watermarking images to meet such requirements at all times. Shadows play a crucial role in making an image look alive and attractive. If you want to make your photograph lively and aesthetically luring to audiences, we can help you to intelligently use drop shadows to achieve the expected quality. There is no doubt that the experience and expertise of MAP Systems can pull off the project deliverables quite effortlessly. How our image editing and retouching services work? In order to ensure that we are exceptionally flexible and supportive of the client’s requirements, we work with the following image files . At MAP Systems, we utilize exceptional image manipulation software programs to meet even the most difficult and demanding specifications of the clients. All our professionals have extensive experience in working with a range of companies from diverse business verticals like advertising, portrait studios, online stores, publishing houses, real estate firms, automobile companies, and more. When hiring the photo editing service support from MAP Systems, you will be getting the following benefits. Quick turnaround time to help carry out your projects before the deadline. As one of the most preferred image editing firms, we can meet all your image manipulation requirements without compromising on the quality of the delivered project. We can bring the unrivaled aesthetical feel and sense to a range of photographs that can be used for advertisements, catalogs, online brochures, flyers, book covers, newspapers, and on other marketing collaterals. We also cater to other requirements of the clients such as website photo editing, wedding photography editing, and portrait & landscape photo enhancement services for online galleries. If you value your time and want matchless quality, hire the services of MAP Systems. We offer the most reasonable photo editing charges in India. Reach us now.